A HERO Can Be Anyone, Even Your Local Garbage Man! When we are kids we see the world with pure eyes. There is no dogma, or prejudices or any other dirt in our eyes. We see the world through our heart. And people who we, as grown ups, tend to not give any attention to for kids are super heroes, just because they keep things clean and safe. 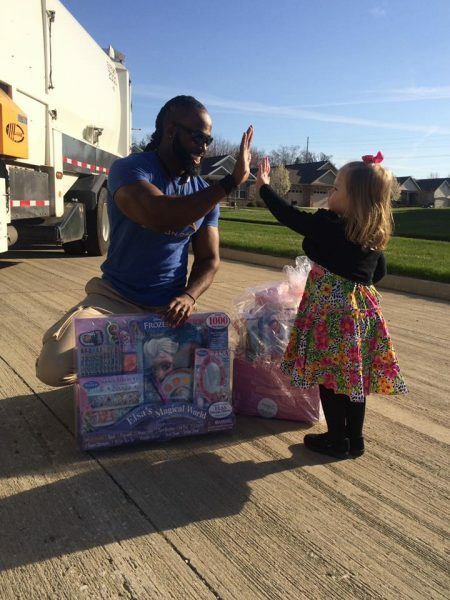 A little girl called Brooklyn from Bloomington, Illinois wasn’t asking for much for her birthday this year. All she ever wanted was too meet her hero and give him a hug. And who her hero was? 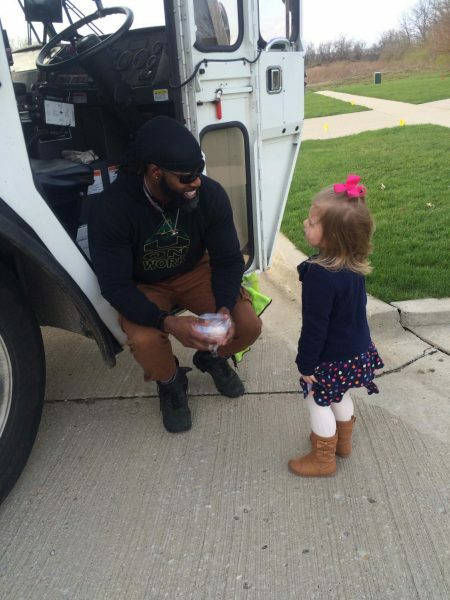 The local garbage truck driver who made sure that their neighborhood was clean every week. 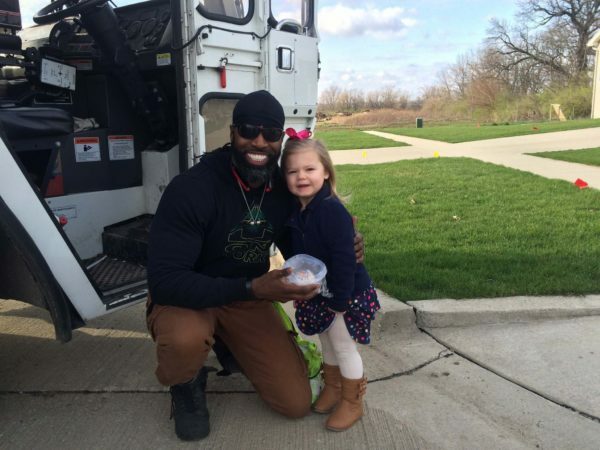 According to her mother, Traci Andracke, Brooklyn has been admiring the garbage truck driver from afar for about a year, smiling and waving at him every Thursday morning. 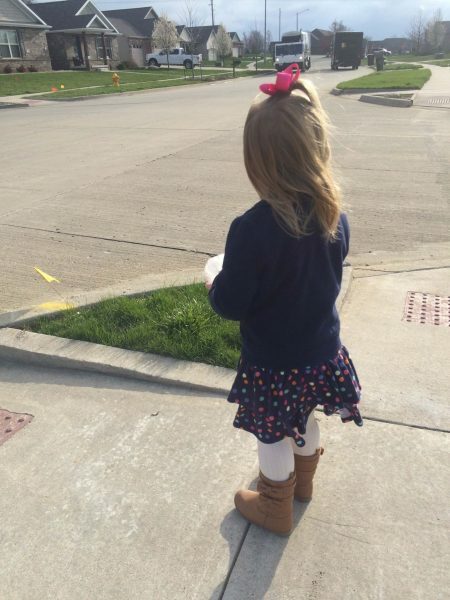 On the morning of her birthday, Brooklyn waited patiently on the corner with a cupcake for the garbage truck to arrive. Delvar was overjoyed to get a cupcake from his young admirer. Tracie said Delvar was overjoyed to meet his biggest fan. He explained that he looks forward to seeing us every Thursday as well. He said that he has a meeting every Thursday morning and always tries to get out of there in a hurry so that he can make sure to see us every week. He said he doesn’t have any kids of his own, but he mentors several children and just loves them. Delvar came back the next week with a bunch of belated birthday presents for Brooklyn.